I met with a client recently who was facing some team challenges such as projects consistently being late, people lacking initiative and meetings being inefficient. When we looked at the full group’s Flippen 360 Profiles, it turned out they had a much higher than normal concentration of lower scores on our Flippen Profile’s Need for Achievement scale. And this client isn’t alone—in fact the Achievement scale is a quite common constraint, and when it surfaces it can be one of the most hindering constraints out there. 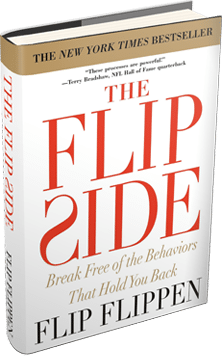 Even without taking our Flippen 360 Profile, this article should give you some good insights about both low scorers (people who are more laid back) and ultra-high scorers (people who are more intensely task-focused). First, let’s start with clarification on what this scale is really measuring. It captures how much you crave accomplishment and challenge along with the speed at which your internal clock ticks, i.e., your value of time. It’s important to understand the strengths of each end of the spectrum. Lower scorers on Achievement are relaxed, approachable, patient, easygoing and even charming. High scorers are goal-directed, task-focused, self-motivated and have a high sense of urgency. It’s easy to vilify one end or the other, so make sure you recognize that both ends have some good traits. But of course both ends also have some not-so-good traits, for example, lower Achievement people can fail to prioritize tasks enough and then miss a deadline or struggle staying motivated. They can procrastinate, over-talk, be overly laid back and not push themselves as much. On the other hand, ultra-high scorers can be impatient, less relational, obsessed with goals and intolerant of people who don’t echo the same intensity. Myth #1: Lower Achievement people aren’t driven. Myth #2: High Achievement people are always driven. High drive people may have a more diverse menu of motivational items to choose from but don’t forget that we can all hit a wall. In fact, really high drive people can hit a wall very quickly if they are asked to do things that are more trivial. Most of us have parts of our jobs that aren’t as fulfilling or invigorating, but extremely driven people can quickly become frustrated and demotivated by what they perceive as minutiae. Also, high drive people can become demotivated over time if there is little sense of accomplishment. Let’s say there’s a job with a constant barrage of things to do without any feeling of completion. Or it could be a job in which there was an initial thrill of charging a certain hill but then the demotivation of repetition sets in. Or it could also be a job in which they aren’t experienced in and the learning curve is steep or the job is new so it doesn’t have an existing path to success. I’ve seen salespeople with great potential get hired but then struggle because the sales process and the product itself had kinks to work out. Quite often we attribute this to someone’s personal constraints when in fact there are much larger system constraints. For a brief period here at The Flippen Group I was charged with writing grants. I started off a bit concerned about my lack of experience and it didn’t sound like something I really wanted to do, but then I dove in and wrote several proposals. How many of those grants were awarded to us? Zero! I’m not even sure we got a follow up call! So not only was it harder for me to motivate myself in general, but then the lack of tangible success only demotivated me further. I had my personal constraints to be sure, but there was also an absence of experience in that venture along with a repetitive series of rejections. It’s not rocket science that we fairly quickly switched gears! Myth #3: You want a diverse leadership team on Achievement drive. You certainly would want a demographically diverse team, but when it comes to levels of drive, we’ve found that low drive people and high drive people don’t mix very well. You’ll see natural variation in this trait, but the variation is more from “pretty driven” to “extremely driven.” We’ve analyzed team data on countless high performing leadership teams and found this to be a consistent theme. As you move away from the leadership team, you may have a bit more variation, which brings me to the myth below. Myth #4: Everyone should be really driven. As mentioned earlier, on a typical leadership team most everyone would be driven but that doesn’t necessarily mean the entire organization would also be. For example, if you have a receptionist who is extremely driven and drawn to challenges and has a very high sense of urgency, I’m afraid he or she may not be a receptionist very long! Some people may stay in a role for other reasons—maybe due to life stage or convenience of a certain locale—but most people who are extremely driven will be looking for the next challenge. One final theme I want to touch one is the potential stiflers of Achievement. I would start with boredom. Someone who is bored with a job or task within a job will have a much harder time demonstrating high drive. Second—and this one surprises a lot of people—would be negative self talk. People who are more likely to beat themselves up internally are the types who don’t want to make a mistake and who are more risk-averse. So it’s no surprise that these types would also be less likely to take initiative and take immediate action on a thorny issue or project. This is a common underlying root cause in which we only address the symptoms (e.g., telling them, “Why haven’t you done this!” and “You just don’t take initiative!”)…and then make the root cause even worse! In high school I worked at Taco Bueno and no one really showed me what to do at first so often I felt a bit frozen. I remember one of the managers seeing me standing there once and said, “Come on, do something!” and then she took me to the back and showed me a pile of utensils and pots that needed cleaning along with where to put them. Once she showed me that, I cleaned the dishes as well as and as fast as any other employee would have. But I was so afraid of not doing something right that at times I didn’t do anything. I was over-thinking and being overly self-critical. The last factor that can stifle Achievement is working with someone who is too critical. I’m not referring to being self-critical in this case, but instead the criticality of others. Someone who is very critical will point out concerns, make frequent corrections, have negative body language, express intolerance, etc., all of which can stifle initiative and drive in others. If you have questions or concerns about your Achievement, or if you have a team that you wish you could put your finger on the team’s Achievement DNA, let us know and we’d be honored to help. The science of individual and team optimization sure is fascinating!